Christmas simply wouldn’t be the same without Christmas films. Many of us can’t even begin to take Christmas seriously until we’ve watched one or two of our favourite Christmas movies, so we thought we’ve make a list of what we think are the greatest Christmas films of all time. If you need a little help getting in the mood for Christmas, try out our free Christmas app, listen to a personalised message to you from Santa, and watch at least five or six Christmas films from this list! The original film came out in 1947, but it hasn’t aged particularly well, so it’s the 1994 remake that made it onto our list! Miracle on 34th Street (1994) stars Mara Wilson (the little girl from Matilda!) and Richard Attenborough (the old man from Jurassic Park!) as Santa. In the movie, Attenborough is in court and his lawyer has the daunting task of convincing the judge that he is the real Santa Claus! Richard Attenborough is the most convincing Santa we’ve ever seen and this film is guaranteed to get you in the mood for Christmas! 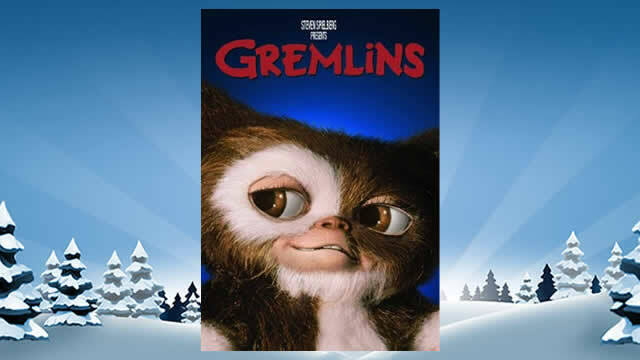 A lot of people forget that Gremlins is a Christmas movie, but it’s packed full of snow, Christmas decorations, presents, and even a couple of Santa costumes! In Gremlins, a father buys his son a magical creature called a mogwai and he gives his son a specific set of instructions on how to look after it. His son ignores the instructions and his mogwai creates a bunch of psychopathic gremlins who have to be defeated in order to save the town. Gremlins has horror elements and is a good alternative if you’re a little sick of having your heart warmed by other Christmas films! 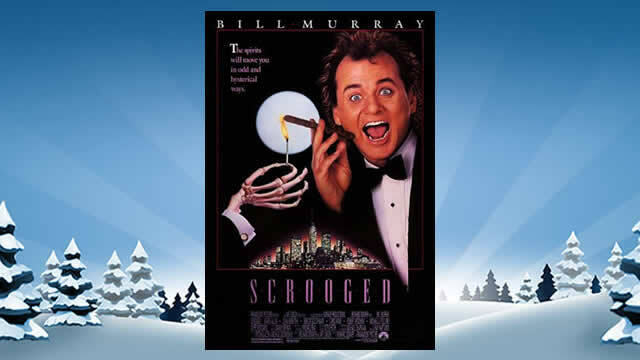 Based loosely on Charles Dickens’ A Christmas Carol, Scrooged is one of Bill Murray’s greatest roles. He plays a miserable television executive who hates Christmas and is happy to fire people over the holidays. As in the Dickens classic, Murray’s character is visited by the ghosts of Christmas past, present, and future. The ghosts teach Murray the error or his ways and the true meaning of Christmas! 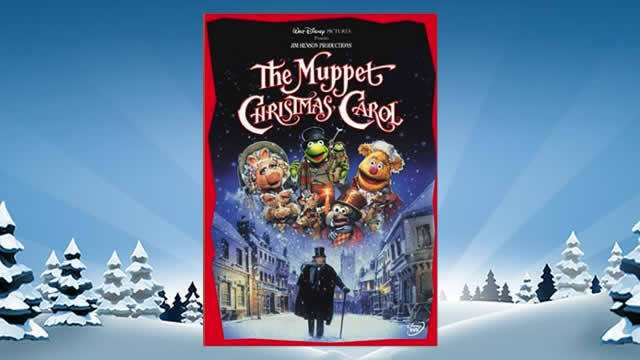 The Muppet Christmas Carol was also based on the Charles Dickens novel, and it is much more faithful to the original story than Scrooged — even though most of the cast is made up of puppets! Michael Cain plays Ebenezer Scrooge, a miserable business man who hates Christmas. Scrooge is visited by the three Christmas ghosts and he completely transforms into a kind man who loves Christmas! Elf has quickly become one of the most popular Christmas movies in the world. In Elf, Will Ferrell plays Buddy the elf, a human who was found by Santa’s elves when he was a baby and raised as an elf. There is something hilarious about the huge Ferrell working in Santa’s workshop and even sitting on Papa Elf’s knee! Buddy discovers he’s really a human and that his real father lives in New York. Buddy travels to New York to meet his dad and hijinks ensue. 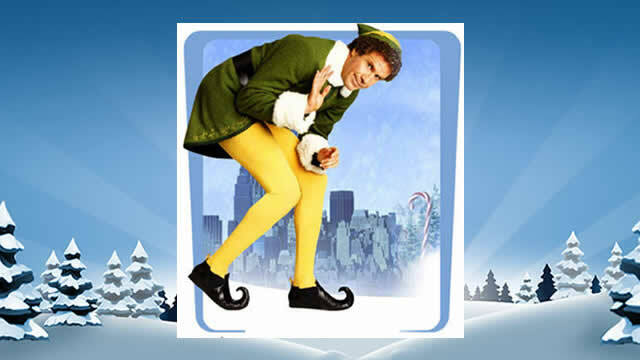 Much of Elf’s success is owed to Ferrell’s charming performance and to the film’s genuinely moving story. Keep an eye out for a small cameo by Game of Thrones’ Peter Dinklage, who plays a comically serious children’s author. Die Hard is not like most other Christmas films! 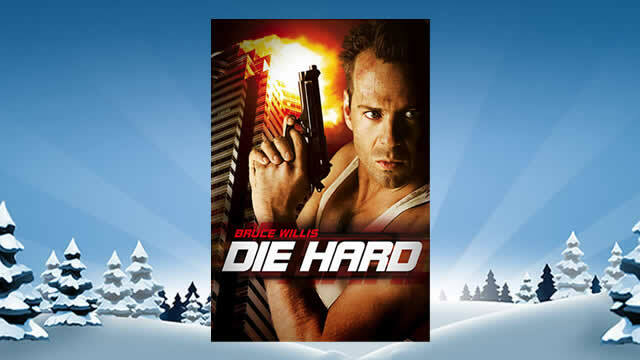 But it takes place at Christmastime and most people agree that it counts as a Christmas film… In Die Hard, Bruce Willis plays John McClane, an NYPD cop visiting his separated wife in LA for her firm’s Christmas office party. When bad guys with guns arrive, the Christmas party takes a turn for the worse. Look out for an incredible performance by Alan Rickman as one of the best bad guys in movie history. Like Gremlins, Die Hard is a great Christmas alternative if you’re a little tired of having your heart warmed this Christmas! It’s a Wonderful Life doesn’t deal with Christmas themes directly, but it takes place during Christmas and most people consider it to be a Christmas film. In the film, we follow the story of George Bailey (played by James Stewart), a frustrated, down-on-life banker who has always done the right thing by his family and his local community. George Bailey hits rock bottom and he’s brought back from the edge by an angel who shows him how terrible the world would be if he wasn’t in it. 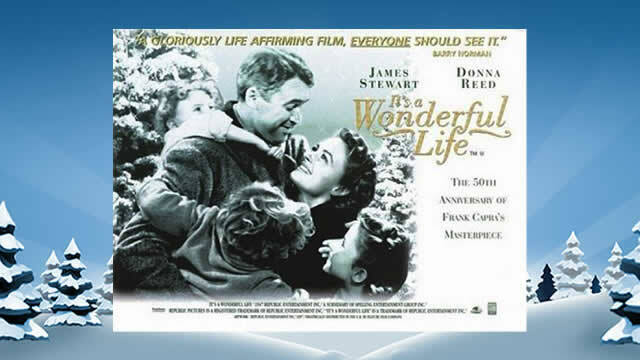 It’s a Wonderful Life is a beautiful, nuanced film that explores the meaning of life and how our lives impact those around us. If you’re looking for that one film to warm your heart this Christmas, you can’t do much better than It’s a Wonderful Life! It’s impossible to conceive of Christmas without Home Alone. Macaulay Culkin plays Kevin McCallister, a little boy who finds himself home alone during Christmas when his family forgets to bring him with them on their Christmas holiday to Paris. 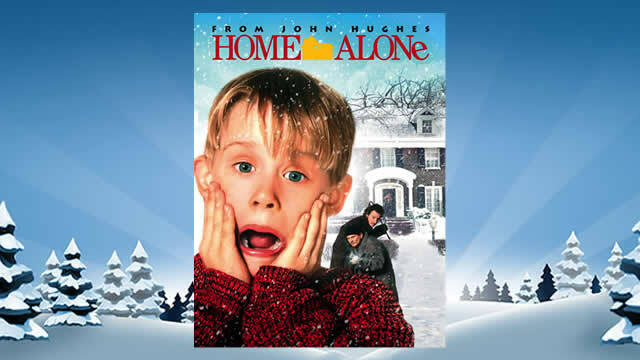 To make matters worse, Kevin’s house is targeted by two burglars and Kevin has to defend himself and his home by setting ingenious traps and obstacles. Home Alone is an amazing combination of comedy and tragedy, of laughs and heart-warming moments, making it the ultimate Christmas film. Home Alone can be watched over and over again without it getting old — and this is pretty much exactly what we watch from a Christmas film! That’s all for this list of the greatest Christmas films of all time. There were so many films that almost made the list, so please don’t be angry that your favourite movie isn’t included. We hope you watch as many Christmas films as humanly possible this year and that you have a very merry Christmas!